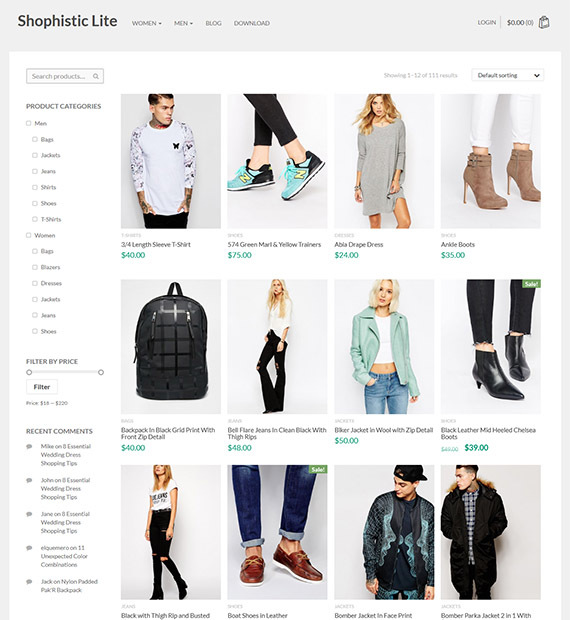 Shophistic Lite is a free eCommerce WordPress theme powered by WooCommerce. The theme has a purely shop-like design with options to add unlimited products, simply the best cart and checkout page. Furthermore, the theme has easy customization options from a user-friendly simple interface. Fully built with WordPress customizer, the theme allows you to customize the entire website with live previews. It is fully responsive and retina ready that looks great on all types of devices.